Nielsen – the company that monitors how television shows perform How Nielsen Ratings Determine What You Watch on TV How Nielsen Ratings Determine What You Watch on TV Breaking Bad, Game of Thrones, and The Walking Dead. What do these shows have in common? Read More – has started to track online television streams. And it’s about time too. Announced in The Wall Street Journal last week, the TV ratings giant will be monitoring nearly 1,000 shows across Amazon Prime, Netflix, and Hulu. Nielsen hopes that this will allow studios to negotiate higher royalties for shows that perform exceptionally well. The data being gathered is relatively limited. It relates to a tiny portion of the content available, and the company is not going to be capturing data from mobile users, or people living outside of the United States. 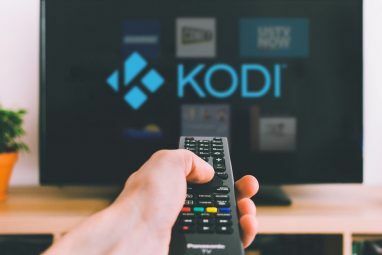 But the move does indicate a massive change for Nielsen, which has been slow to adapt to the rise of digital streaming. Television advertising is big business. In 2014, it was worth $180 billion in the United States alone. For major television events, like Premier League soccer or the Super Bowl, a 30-second spot can easily exceed the $4 million mark. And of course, the more successful a show is, the more it costs to advertise during it. But how do we determine how successful a show is? That’s harder than you think, because for the most part, television sets don’t really report back on what individuals are watching. For that reason, advertisers and TV studios have relied on the services of a company called Nielsen to find out who is watching what. Nielsen was founded in 1923 as a market research company, and quickly pivoted into tracking television and radio broadcasts. In 1936 the company started distributing small black boxes – called Audimeters – to 1,000 American homes. These would collect information as to what radio stations were being listened to, and when. At the time, this was revolutionary, as it allowed advertisers to more efficiently focus their spending onto channels where the audiences were greatest, or where a particular demographic was listening. People resent advertising It's About Ethics in Stealing Games Journalism: Why AdBlock Needs to Die It's About Ethics in Stealing Games Journalism: Why AdBlock Needs to Die A simple, free browser plugin killed Joystiq – and is ruining the Internet. Read More , particularly on the Internet, but it’s largely responsible for the content we enjoy. When it became clear television was more than a passing fad, the Nielsen started monitoring that medium with the iconic Nielsen Boxes. These were small black boxes that were roughly the size of two packets of cigarettes, and connected into the television itself. As with the Audimeter, these would record what was watched, and when. Households who were fortunate enough to own these boxes were known as Nielsen Homes, and were paid generously for doing effectively no work. There were other non-financial benefits, too. According to one Reddit commenter, Nielsen has a catalog where the younger members of enrolled families can choose their own gifts, like CD players and wristwatches. As a system, Nielsen works relatively well. The company survey a statistically significant sample of around 25,000 American viewers. The hardware can record the gender and age of the viewer too. Because of this, broadcasters and advertisers get to know their audiences better, and they can be more demographically targeted with their advertising and content. Unfortunately, Nielsen hasn’t moved on since then, even though the way we consume television clearly has. Prior to 2013, Nielsen completely ignored the Internet, the phenomenon of on-demand streaming, and online-only content. 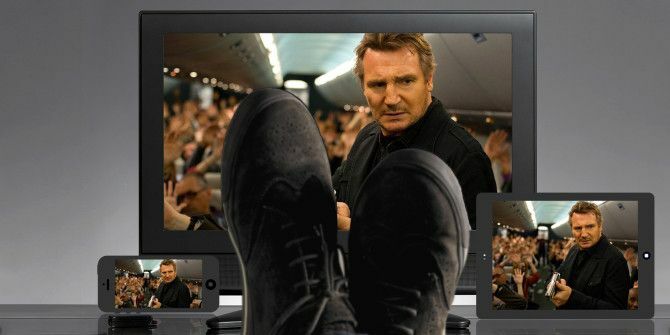 Now, Nielsen tracks people streaming television through games consoles and streaming boxes (like the Roku and Apple TV), but ignores those watching through a computer, tablet, or mobile device. NBC’s Community has perhaps the most die-hard cult following of any 21st century television comedy. The show is a poignant and touching look at the nature of friendship and love, set in Greendale Community College; perhaps the worst fictional college ever put to celluloid since Buffy The Vampire Slayer went to The University of California, Sunnydale. Although Community has its fans, it has always struggled with dismal ratings. Each season, it seemed increasingly inevitable it would be axed by NBC. Fans launched near-annual “Save Community” campaigns, where NBC was inundated with emails insisting the network shouldn’t ax it, and Netflix The Ultimate Netflix Guide: Everything You Ever Wanted to Know About Netflix The Ultimate Netflix Guide: Everything You Ever Wanted to Know About Netflix This guide offers everything you need to know about using Netflix. Whether you're a new subscriber or an established fan of the best streaming service out there. Read More was bombarded with emails asking it to buy the rights to the show. The problem wasn’t that nobody was watching Community. It’s just that nobody was watching it as NBC intended. In the show, actor Joel McHale plays Jeff Winger – a disgraced lawyer turned student, and ringleader of the Greendale 7 study group. McHale is also an established comedian, and host of E!’s The Soup. This is when he inadvertently identified the problem with Community. Which is that Community was so innovative, and so ahead of its time, that it developed an audience that was being systematically ignored by Nielsen and the other ratings companies. What was a successful digital property was constantly under threat of being cancelled, simply because that success didn’t actually count for anything. At the end of Season 5, NBC finally killed Community. Yahoo! Screen then purchased the rights, where it enjoyed a wildly successful final season. When it comes to broadcast television, I feel as though a pandora’s box has been opened that will never be closed again. Broadcast TV will never regain its relevance, or for that matter, its charm. Watching television will cease to be a family activity. People don’t even have the patience to watch a TV show over a period of months, as Orange Is the New Black and House of Cards — both of which were heavily binge-watched — have definitively shown. I almost feel like the word “TV” has became etymologically antiquated, and the only reason we use it is because nothing has yet replaced it. Because, let’s face it, few millennials own a TV. Fewer still subscribe to cable or satellite. It’s been thoroughly usurped by the likes of Netflix, Hulu, and Amazon Prime. 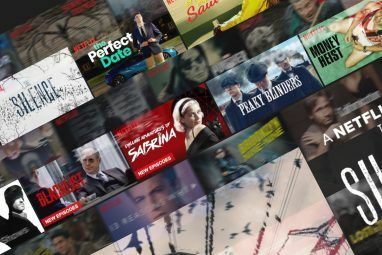 What we’re talking about is the natural evolution of TV into a deeply personal activity centered around our personal whims, and the algorithms that power Amazon and Netflix’s recommendation engines. However, while broadcasters and studios have been quick to embrace this and have been all too keen to license their shows, ratings companies are less eager to move with the times. A huge part of this is purely financial: TV advertising is still vastly more lucrative than online streaming royalties, and there’s less of a financial impetus to record streaming ratings. But that will eventually change as more and more people cut the cord Considering Canceling Cable? The True Cost of Cutting the Cord Considering Canceling Cable? The True Cost of Cutting the Cord When you add everything up, do you really save money by cutting the cord? We do the math involved with cancelling cable in favor of Internet services. Read More . Companies like Nielsen have to adapt. They have to accept that people are watching shows in a radically different way. The current system disenfranchises millennials. Their voices and opinions on the shows they’d like to watch should be counted, and taken into consideration. Above all, perhaps it would be worthwhile if Nielsen used its power and influence to highlight the fact that the way we consume content has fundamentally changed. An audience can not, and should not, be measured by those who watch it on the terms of the streaming sites. Because for each person who watches a show legitimately, there’s almost certainly another person watching it via a VPN The Ultimate Guide to Watching Online TV with Private Internet Access The Ultimate Guide to Watching Online TV with Private Internet Access Virtual private networks (VPNs) allow you to push your network traffic through an encrypted tunnel, making it easy to hide your identity, and to browse the Internet securely when using a public access points. Read More (virtual private network), or having downloaded it from The Pirate Bay The History Of The Pirate Bay: Will It Return? The History Of The Pirate Bay: Will It Return? The world's most resilient BitTorrent site has been shut down shut down. Again. Will it return – and does it even matter? Read More . If studios can understand this often-ignored market, it will go a long way to defeating piracy, as more compelling and accessible solutions are built. As I said previously, Nielsen’s decision to monitor 1,000 shows is a welcome move into the future. And given the fact that most streaming sites are reticent to release their numbers, it’s an amazing achievement. However, more needs to be done if Nielsen is truly going to reflect the changing way we’re all watching television. What do you think? Do we need a new ratings system for the Internet? What other methods could Nielsen use to generate more accurate figures? Please let us know in the comments section below, and we’ll chat about the future of television in all its various forms. Explore more about: Amazon Prime, Hulu, Netflix, Online Video, Television. Why so narrow minded to ask a question like "What else could Nielsen do ?". The better question is "Why are we still taking Nielsen seriously ?" I don't know if the Nielsen ratings regularly use DVRs to assess ratings, but they definitely should. My Tivo knows which shows I watch, and when I watch them. This is a far more accurate way of finding out which shows get watched the most than the 25,000 sample. That's just not big enough. The regular Nielsen ratings are jiggered ten ways from Sunday anyway. They always announce when they'll be checking, so the networks play all the good stuff then ("sweeps"). They should start by randomly picking 30 days out of each quarter of the year to check the ratings, and NOT announcing what those days were till after the ratings period is over. So the networks whose shows are unrelenting drivel except during the sweeps are going to have a rude awakening. I don't know if there is a good way to figure out internet ratings without snooping on everyone. It's too bad we can't adopt the BBC model and fund TV in other ways than advertising.